Bento for Kidlet: Doctor Who's cutest little villain! Doctor Who's cutest little villain! 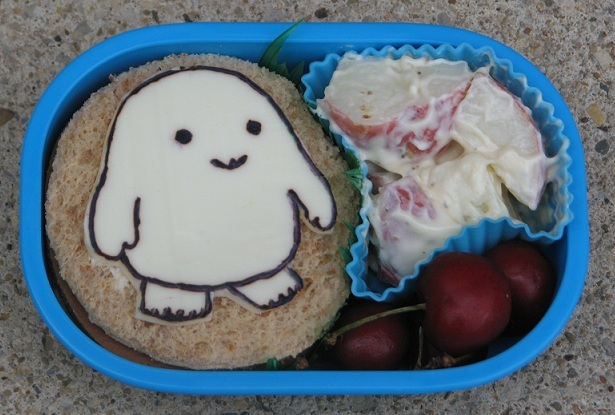 Very simply today, Kidlet has Adipose cheese creature on top of a soy ham sandwich. On the side are potato salad and cherries. Here's a before shot of our out of control bento bin. Organized shots will be coming soon! Hi, I am an Indian foodie from Hong Kong. First time here and I just loved your bentos. Loved your site and wish to visit again. Do check out mine too! 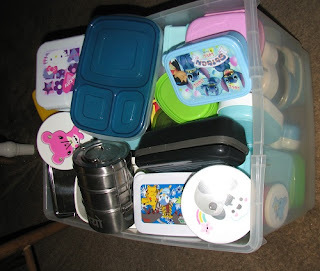 Can't wait to see how you organize your bento bin btw!